Singapore to set up on-site port eq. 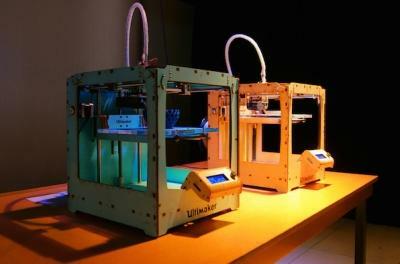 Singapore is to set up the first 3D printing production facility on-site at port to produce equipme. Difficult times ahead for container carriers, says. CSIC Leasing makes first-ever ship lease financing. China's One Belt One Road policy 'very positive' f.
Shanghai port moves higher container volumes in Au. CSX, Kansas City Southern Q1 sales grow, but. AMERICAN Class I railways CSX and Kansas City Southern both reported first-quarter growth.2019-04-24. ZPMC to manufacture shipbuilding gantries for. Chinese heavy equipment manufacturer Shanghai Zhenhua Heavy Industries Co., Ltd. (ZPMC) s.2019-04-24. Singapore moves a step closer to completing f.
Singapore has moved step closer to completing the first phase of its new mega-port, with .2019-04-24. LNG-powered ships to account for 60% of new o. Six out of 10 new ships ordered by 2025 are predicted to be LNG-powered vessels due to st.2019-04-24. Wuhan New Port Construction Investment and De. As a part of regional ports optimisation plan, Wuhan New Port Construction Investment and.2019-03-27. Port operator JTCT rolls out Navis operating . CHINA's ninth largest port of Tangshan has installed Navis' latest terminal operating sys.2019-01-25. APL to start new China-Malaysia service from . SINGAPORE's APL is launching a new weekly China Malaysia Service (CMS) to link ports in N.2019-01-24. Container handling volumes at China’s Shanghai port have dipped in November compare.2018-12-12. 01 Wuhan New Port Construction In. 02 North P&I Club – It’s time to . 03 APL providing free shipping to. 04 CMA CGM confirms 5 LNG-powered. 05 Innovation Arena at Sea Asia t.
06 Shanghai Shipping Exchange box. 07 Shanghai Bestway Marine warns . 08 Cosco Shipping Ports to develo. 09 U.S. Gulf Gets Least Crude in . 10 China keeps buying crude oil f.